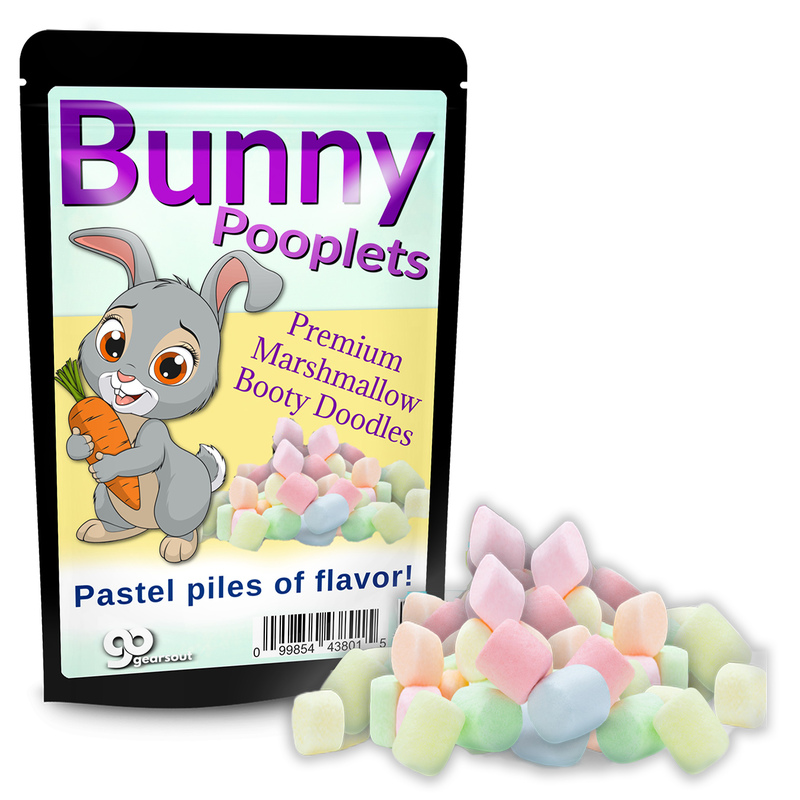 Nothing will make the tummy rumble more than when a rabbit takes a dump and colorful, magical Bunny Pooplets marshmallows pop out! 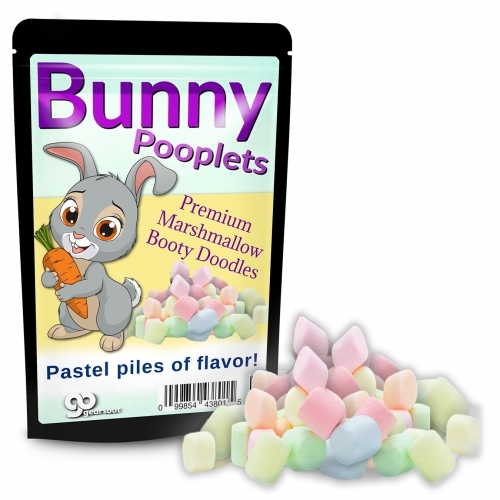 Those pastel poops are so sweet, they’re good enough to eat! Those aren’t drops of sunshine, sweetheart! These pastel booty doodles combine tasty and tacky in such a charming way, everyone will want a bag. 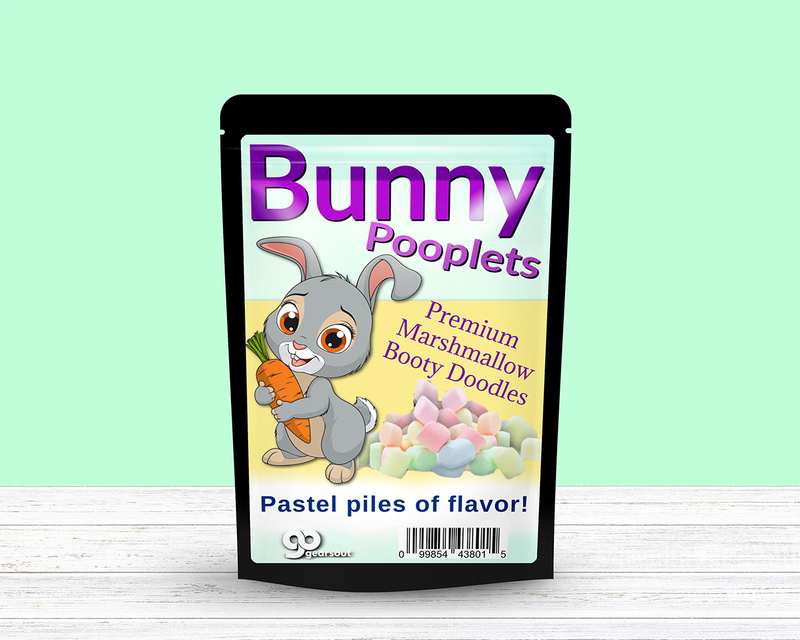 Give a pile of lucky rabbit’s poop to someone who can use a hearty laugh, and they’ll be hopping to tell everyone about the funny edible gift you brightened their world with. 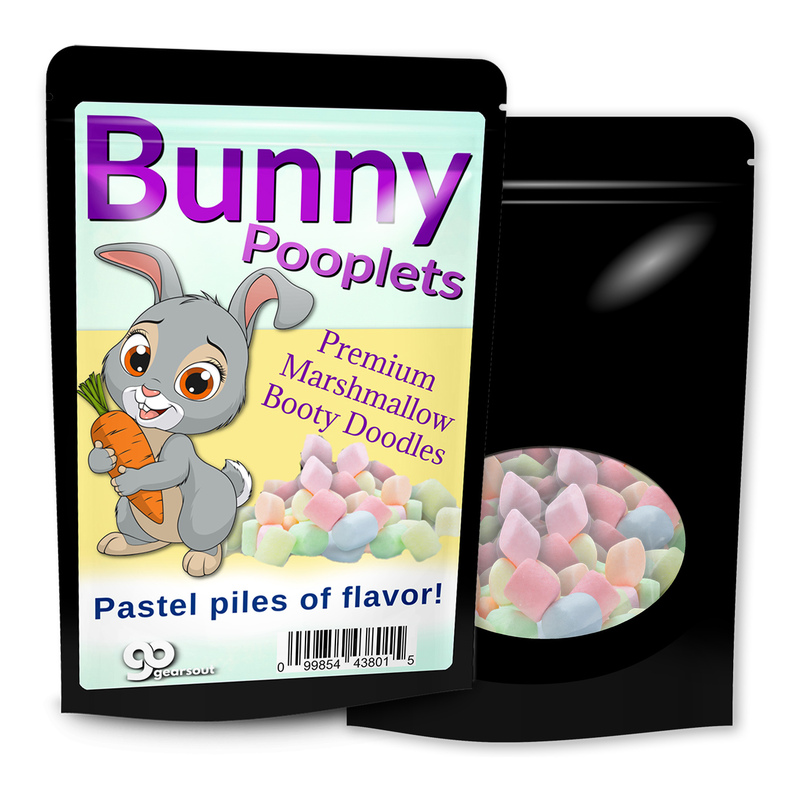 Bunny Rabbit Pooplets make perfect candy gag gifts for adults, teens, kids. 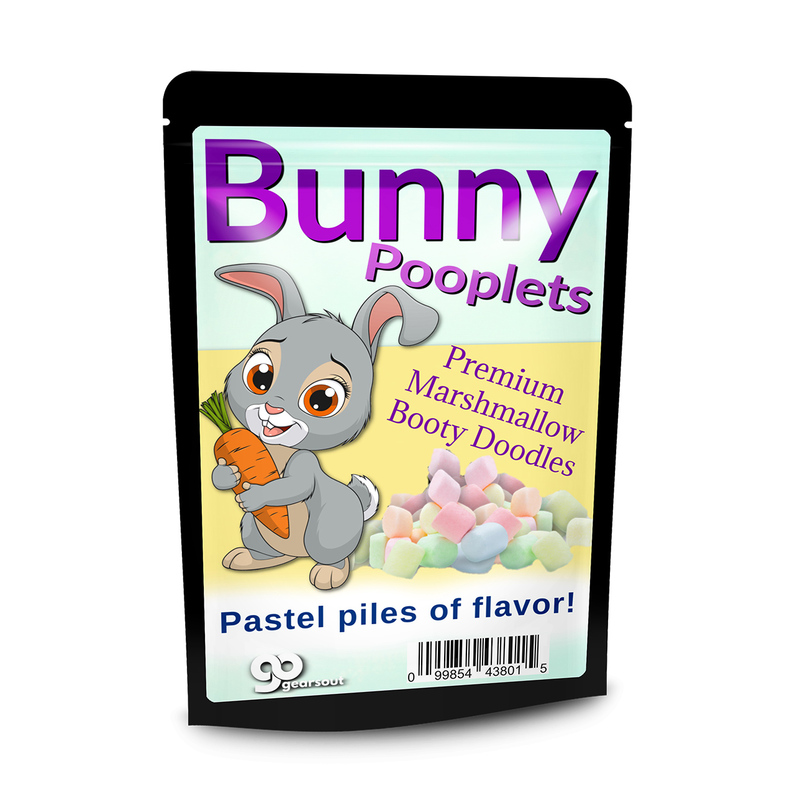 The hilarious design features an adorable bunny proudly showing off his pastel rainbow turds and will have everyone rolling with laughter. It’s a wacky, unexpected addition to Easter baskets, holiday care packages, and gift baskets. Drop some in as a funny stocking stuffer or wrap it up for a unique white elephant idea or Secret Santa gift.